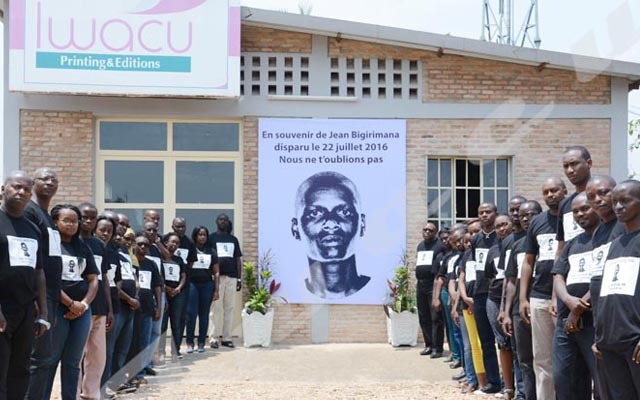 Burundi Media Regulator-CNC has withdrawn an operating licence from some radio and television stations set ablaze and closed during the political crisis in 2015. Another medium has also been suspended for three months. Representatives of those media speak of injustice. CNC has withdrawn the operating licence from some radio and television stations that were closed since May 2015. It says those media have not abided by the terms of service and others have not settled their judicial cases within the deadlines given by CNC. Another radio station, CCIB FM +, has been suspended for three months because of the editorial content of September 18th which was judged to be contrary to the professional ethics. Representatives of those media reject the above accusations and say the decision is unfair. Léon Masengo, Director of Bonesha FM, one of the concerned radio stations says it is sad to take such an unjust decision. “It is really sad and regrettable. The radio station of which I am the director did not break any law,” he says. He appeals to the Burundi Media Regulator to review its decision so that Burundians have access to information. He adds that this tarnishes the image of the country. Eddy Claude Nininahazwe, Director of CCIB FM+, which has been suspended for three months, says the decision taken by CNC is unfair. “We did not violate any professional code of ethics. We instead abided by it. An editorial is one of our duties. We gave our opinion”. He adds that their mission is nothing but to give information “We have done our job. We did not violate any law. We are not working to please some people. Instead, our duty is to inform the public, what we did,” says the director of CCIB FM+.